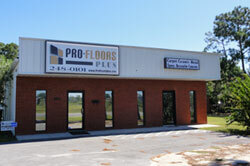 Pro-Floors Plus is Northwest Florida's premier flooring and tile contractor that specializes in commercial projects. Pro-Floors Plus employs a team of experienced estimators, project managers, and installation professionals required for success in the commercial construction arena. 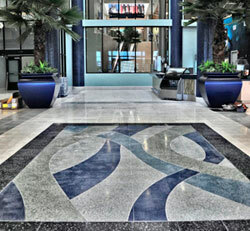 We provide a team of experts who can guide you to a successful flooring solution that's right for your business. Our team can provide you with free estimates, free consultations, and design services. 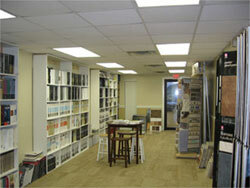 We can assist architects or designers with product specifications and sample selections. We are certified as a DBE, women owned business, and have bonding capabilities. Pro-Floors Plus was recently featured in the national publication "The Building of America" for our part in the construction of the Northwest Florida Beaches International Airport. Pro-Floors Plus also participated in a case study conducted by worldwide manufacturer Custom Building Products for using mortars, grouts, and crack isolation membranes throughout the airport project.